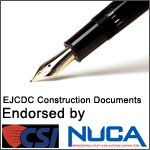 The report, released on November 15, recommends that the state of Massachusetts “eliminate the professional engineer licensure exemption for public utility work and require a professional engineer’s seal on public utility engineering drawings.” In addition, NTSB recommends that, moving forward, NiSource, the parent company of Columbia Gas, have a PE sign and seal all construction documents. NiSource owns and operates the gas distribution system in which the explosions occurred. NSPE has played a crucial role in the discussions about improving public safety, following the gas pipeline explosion that killed one person and destroyed at least five homes. In October, the Society was contacted by NTSB’s Pipeline and Hazardous Materials Investigations division, which was seeking information about licensing law exemptions for public utility workers, due to the division’s great concern that the exemption may have played a role in the explosions. NSPE and NTSB staff spent several weeks discussing the engineering licensing process, its standards, and NSPE’s opposition to licensing law exemptions. NSPE shared several documents, including its industrial exemptions position statement and fact sheet, and public testimony from professional engineers. NSPE is quoted and referenced several times in the report, and is pleased to have been consulted during the investigative process. NSPE has long been opposed to industrial exemptions. Not only do they create confusion regarding professional licensure, but more importantly, they put the public at risk by not applying the same rigorous standards to every engineer who’s designing and approving the critical infrastructure systems we rely on every day. To learn more, read NSPE’s Exemptions to Engineering Licensure Laws: A State-By-State Summary and similar reports available here as well as engineering licensing law exemptions in the federal government. November 20, 2018 - Massachusetts Governor Charlie Baker, in response to the NTSB report and recommendations, filed legislation aimed at eliminating the engineering license exemption for gas industry “work or services that could pose a material risk to public safety…” The bill (H.4979) was immediately referred to the Joint Committee on Telecommunications, Utilities and Energy for consideration. December 6, 2018 – The NTSB report raised a red flag at the Vermont Department of Public Service, and on December 4, it urged the state’s Public Utility Commission to investigate whether a construction plan submitted by Vermont Gas includes the sign and seal of a professional engineer. December 11, 2018 – Earlier this year, NSPE became aware that the EPA had submitted a proposed rollback of its requirement that a professional engineer sign and seal modification plans for closed vent emissions systems within the oil and natural gas industries. The Society was crafting public comments to this change as the NTSB released its report. As a result, NSPE was able to reference the report in its comments urging the EPA to maintain its current requirement for licensed professional engineers to review modification plans.